Does your driveway look like it could use a makeover? If your home has been around for some time chances are your concrete driveway has taken a beating over time. Maybe not even due to the traffic that travels across it, but often times mother nature can have a devastating effect on concrete if the surface wasn't constructed or finished properly. Here at Concrete Contractors Fort Smith we have seen many people end up being surprised at how affordable it can be to have a professional repair done. Maybe you need a completely new driveway poured and finished? We can handle any job from small repairs to full on driveway replacements and installations. 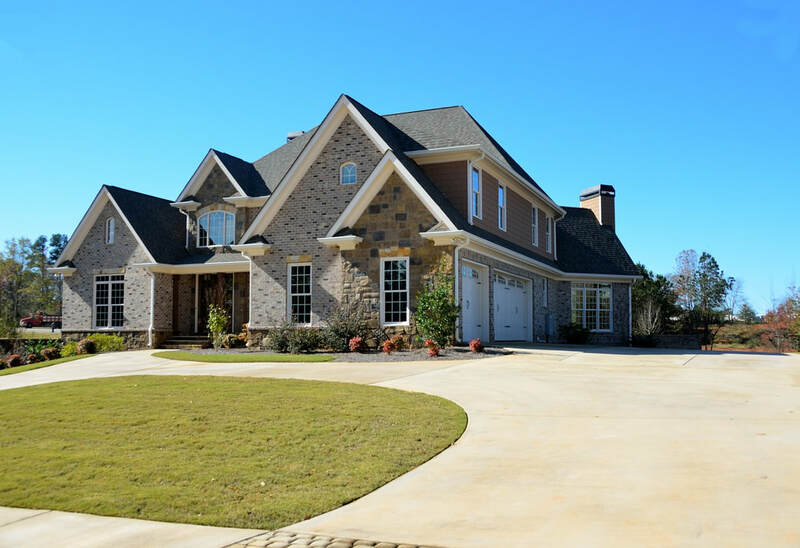 Having a nice and well-repaired driveway can add new life to your home and even increase the value overall! Some home owner's associations will even require it to be serviceable to be able to sell. Give us a call and see if a repair is a good option for you! We understand why people tend to delay getting their driveways repaired. It seems like something that doesn't really need to be done, what kind of effect could it have? Besides the fact that it can tear up your vehicle if that's what you use it for, there may come a day where you HAVE to make the repairs so why not get them done early on. All you have to do is pick up the phone for a free consultation and we will take care of the rest. We will offer our suggestion on any repairs we think need to happen, then the choice is up to you! Even if you are a DIY type of person with your home projects, we always recommend large-scale projects such as driveways to be left up to the professionals. A few reasons are the ability to pull permits for concrete work, knowing how to make sure everything is mixed properly, building the stabilizing and shaping forms, knowing whether or not reinforcement or rebar is needed, adding decorative finished, understanding of the curing process and more. A lot can go wrong when working with such a large quantity of any material, and especially concrete. On top of that, once it has been poured you do not have much time to waste before changes cannot be made. A huge project produces the probability for a huge mess, which in turn can create the need for a huge cleanup or repair. Don't subject yourself to all that hard work, just let the professionals take care of your new driveway and give us a call! We would be willing to bet you have seen or been around one of the many driveways or surfaces that was created by one of our talented concrete contractors here in Fort Smith. With decades of experience, our licensed, bonded and insured concrete masons will take the stress off your mind of that old torn up driveway of yours. We can come out and have it looking brand new again in no time, and you can rest easy knowing that your property looks as great is it possibly can. We would love to help with your new or old driveway, so call us today!